Ghent's Ovation Letterboards are a perfect way to communicate important messages and announcements. With a stylish radial frame, the powder coated frame and shatter resistant doors combine form and function in a stunning way. 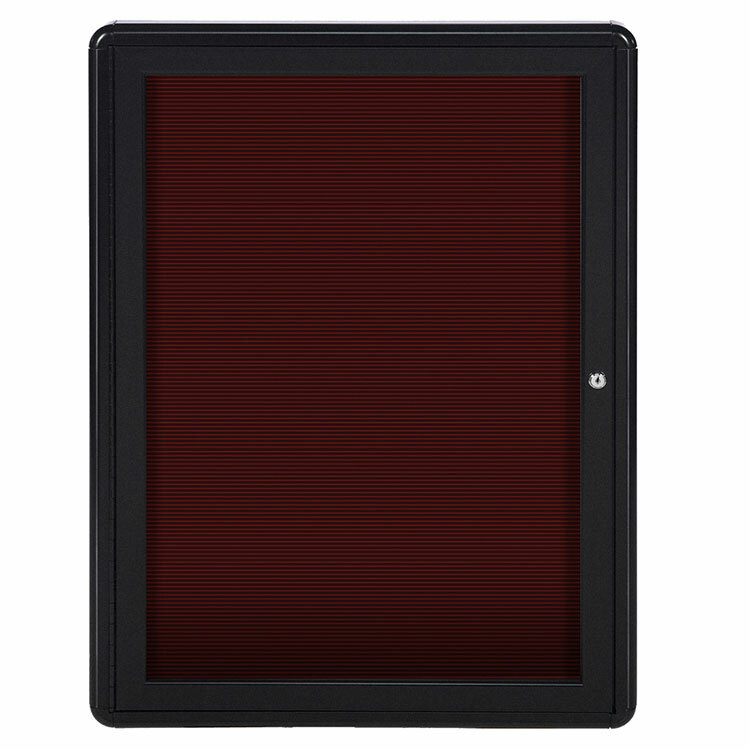 Designer enclosed letterboards feature powder-coated aluminum frame with stylish radius corners. Features 1/4" precision grooves, complete with set of 3/4" Gothic font white letters, numbers and characters (327 pieces). Doors feature shatter-resistant acrylic, full-length hinges, locks and keys. Concealed corner brackets allow for easy and secure mounting. Available in additional frame and letterboard color choices. Add life to your message in an eye-catching Ovation radius enclosed letterboard. Constructed for durability, the powder coated aluminum trim along with radius corners create a sleek look that will last beautifully for years. Ovation comes with either hinged, shatter-resistant acrylic doors or with two sliding, tempered glass doors. 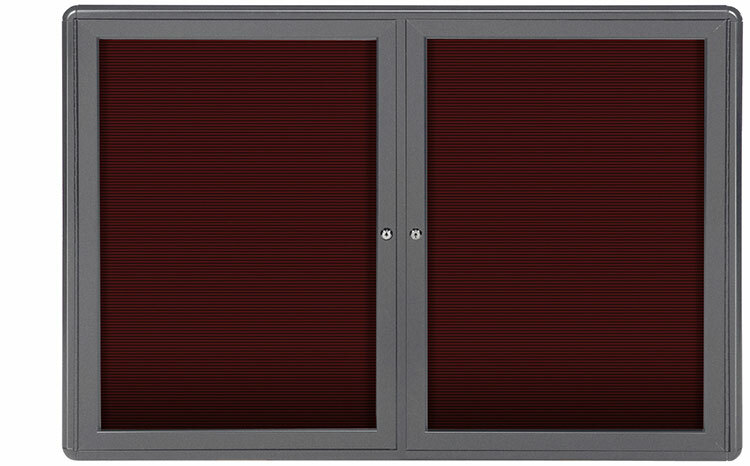 Each frame is paired with flush mount locks. The changeable letter panel features precision grooves for easy letter insertion and comes complete with a set of 3/4" gothic letters, numbers and characters. 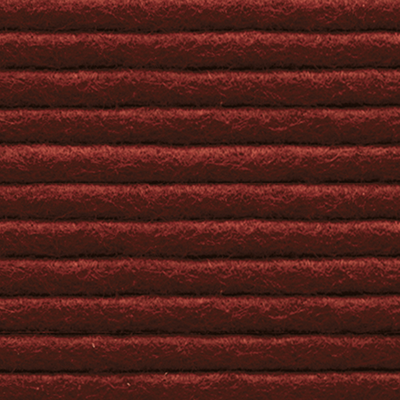 Choose between two felt letter panel colors: black or burgundy. The stylish good looks of the Ovation radius enclosed will capture your audience's attention every time. 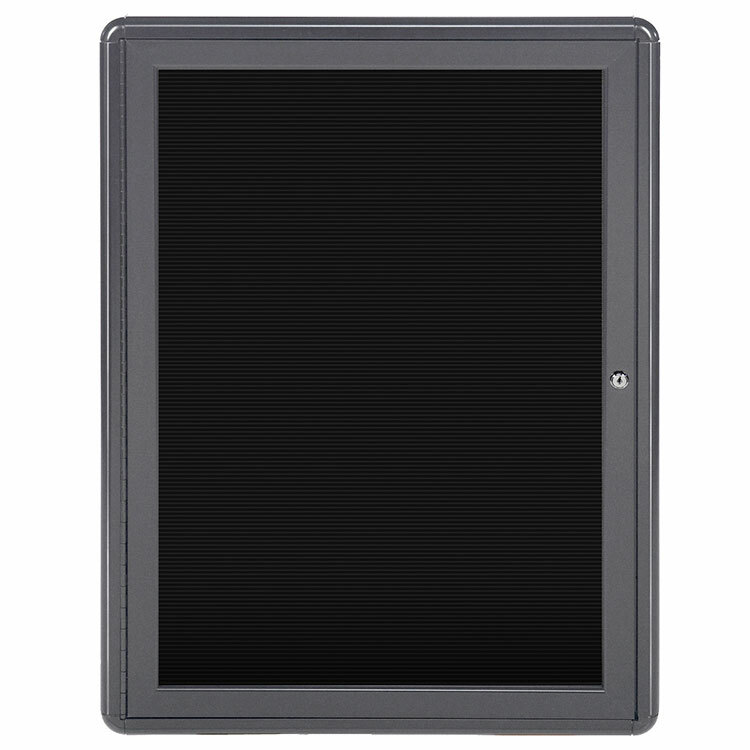 The letterboard carries a 10-year warranty and is made in the USA. 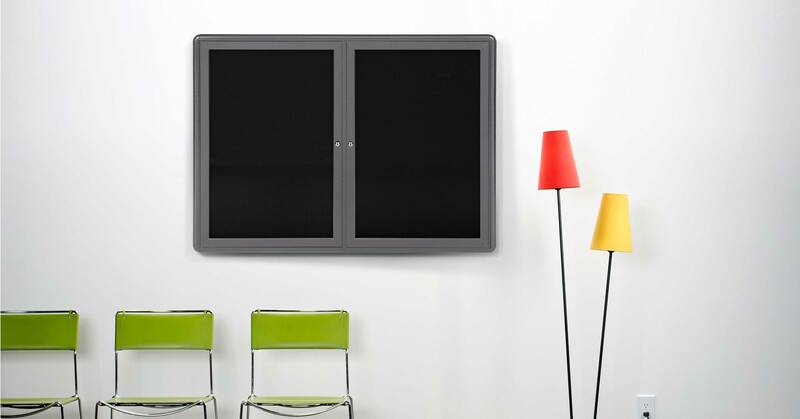 Ghent's Ovation Enclosed Letterboards feature detailed, powder-coated aluminum framing with stylish radius corners. 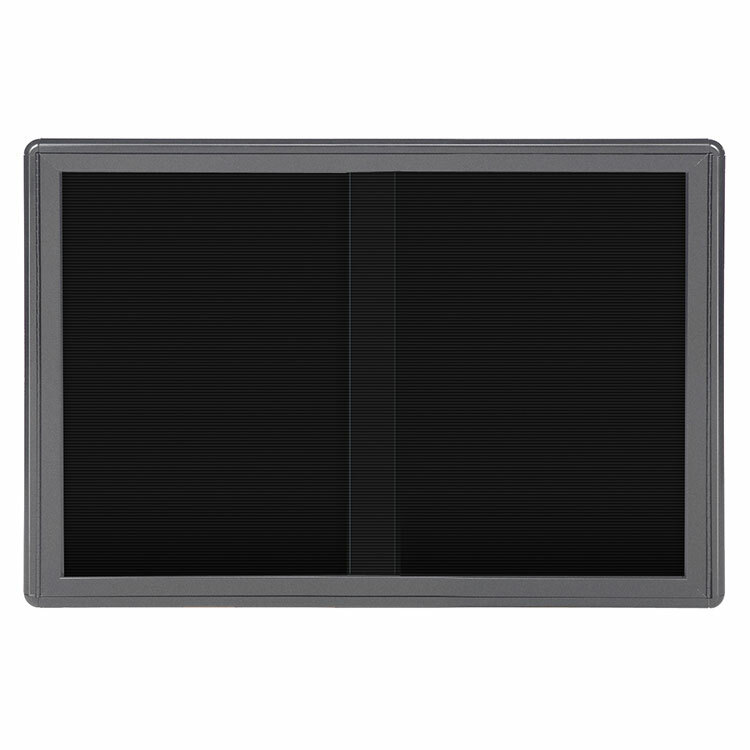 Frame is available in Gray or Black. The doors feature full-length hinges and shatter-resistant acrylic panels with flush mount locks and keys for added security. 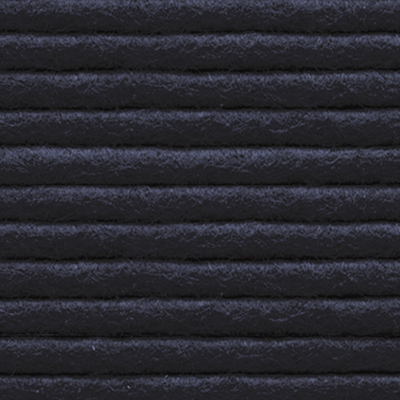 The flannel letter panel is available in Black or Burgundy and features 1/4" precision grooves for easy letter insertion. Each unit comes complete with a set of 3/4" Gothic font white letters, numbers and characters (327 pieces). Units feature concealed corner brackets for easy and secure mounting. Non-illuminated optional name headers are also available. Backed by Ghent’s 10-year guarantee.